So I wanted to setup my google cloud platform (gcp) on my desktop. 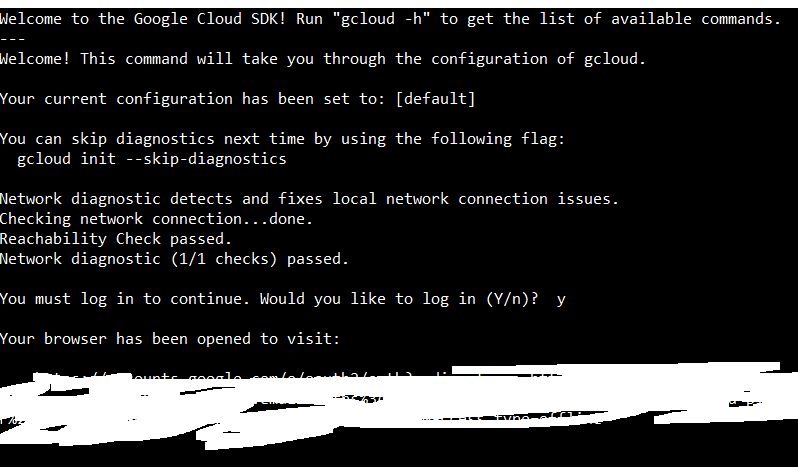 I meant to say I wanted to be able to connect to gcp via powershell, python and gcloud cli. Apparently it seems the competition between google, amazon and microsoft is benefiting us. They have made it easier than ever. I was however disappointed that you cannot get this to work in a virtual environment if you are on windows. Sad face :(. 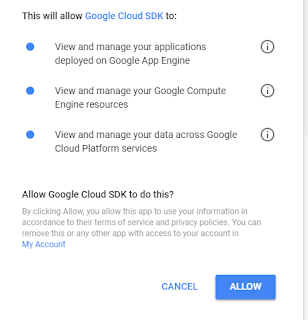 Download and install gcloud SDK from here. 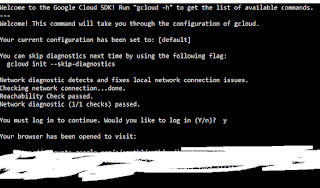 Once the installation is complete run gcloud init (it was preselected for me) to setup the credentials. Now let us say yes and a browser opens up asking you for confirmation. I just clicked on allow. I had a dummy project created. It gives you an option to create a project too if you don't have one created yet. I chose 1 and now i can interact with that project with gcloud sdk with the weapon of my choice; python, powershell or gcloud cli. Now I have my playground ready. So let me play. I will try to update here about my endeavors as much as possible.